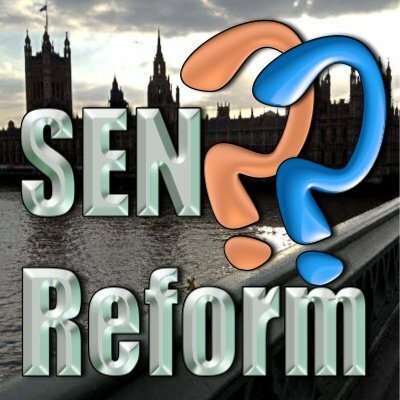 Home SEND SEN Reforms SEND reforms, ready or not? This morning, the BBC had a report on the SEND reforms and queried whether parents (or schools) were ready for them. The BBC report that in excess of 1.7million children will be affected by the changes. Many of the families who had been interviewed by the BBC were saying that they knew little, if anything, about the reforms and didn't really seem to understand the effect they would have on their child's education. Families who had worked tirelessly to obtain a good Statement - one that is specific enough to really support their child - were concerned about the impact the new system would, or could, have on their child's education. Many families we have spoken to are worried about the transition to the new system and how this will impact on their child's provision. When asked about the lack of information, the DfE said that the new Code of Practice had been downloaded over 20,000 times. Now that may sound impressive until you put this into perspective. In Kent alone, we have in excess of 20k children with SEN. If you also take into consideration that many of those 20k downloads will be schools and practitioners (or at least we really hope they are downloading it), then you start to realise that there are many hundreds of thousands of families out there who haven't seen the Code of Practice. There will be many hundreds of thousands of families who don't know the Code of Practice even exists. The lack of communication about the information and support available, at a time when there are more changes than ever, has been a real concern for us here at Special Needs Jungle. So many Local Authorities have not provided any information to families, despite having the names and addresses of every child with a statement, on school action and school action plus in their area. Bringing in the changes at the same time as the new curriculum together with the recent OFSTED changes, school funding changes and the forthcoming Care Bill means that any practitioner, with the best will in the world, has an awful lot to learn and understand before they can convey this information to families and put into practice. This level of change together with lack of communication is a great foundation for speculation, rumours and myths. Yesterday, Steve Broach addressed some of the myths surrounding the changes for families and this really is a "print off and keep handy" post. Lack of information isn't the real issue here, it is the lack of communication. It's only those in the know who seem to know and for many families, it is more a case of they don't know what they don't know. The information is out there but not many people know it exists or where to find it. There is also support out there for families to make the transition but again, many don't know it exists or where it can be found. Special Needs Jungle have put together a resource page for families with links to the Code of Practice, the Children and Families Act and our own SNJ/DfE resources. Also, families can read our SEN reform posts, we have been writing about these changes since before the launch of the Green Paper so there is a vast amount of information on our site and it's all in parent-speak. Also, don't forget that Special Needs Jungle can provide workshops on the SEND reforms so get in touch if you would like more information. Fully agree it is the lack of communication and also lack of understanding in some cases. The information provided on your website has been really helpful in the past few days to me. Thank you for including the link to the supporting children with medical needs as this is really important for parents like me. Parents also need to question what they are told by those in schools, health etc.. It is a complicated road at times but with knowledge things can improve for those that need it. That point made by the DfE about COP downloads is interesting – and worrying. Does the Department have a communications strategy for the reforms (apart from sticking various documents onto the gov.uk website – which is hard to navigate in any case), or is it relying on the great work of websites like this? On a related note, the most recent pathfinder evaluation on the DfE website seems to be the one published in March (covering the period to the end of last year). How can people hope to learn from Pathfinders if detailed and vaguely up-to-date reports are not available?